Our first school assembly was a chance to welcome our new Kindergarteners to the Sion Family! 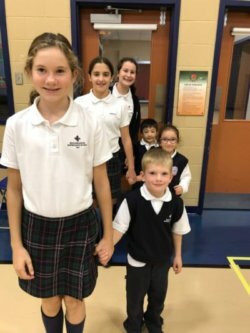 As has become our tradition, the grade six students walked into the gym with the kindergarten students. After the assembly, all the classes picked up their apples, Challah bread, and honey to help kick off a Sweet New Year of learning!